For my girl, skirts are essential. She puts a couple on over her pj’s almost every night, steps into a pair of mismatched highheels, grabs her baby doll stroller, and says, “I’m a Mommy, Mommy!” and proceeds to trot through the house wrapping things up in blankets, and slinging more than one purse onto her shoulder. Last night, I opened her bedroom door only to find her sitting on her little chair, legs crossed (highheels of course), “nursing” JellyCat. She is perfection. Since Spring is showing bits and pieces of itself here in Virginia, the fabric stash is being looked at with a fresh eye. 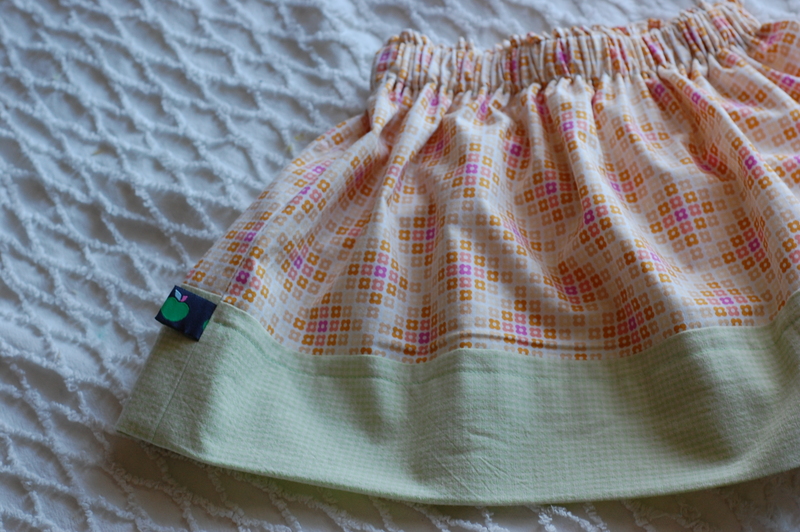 So yesterday, we celebrated the warmer day with a new skirt for my little “mommy”. 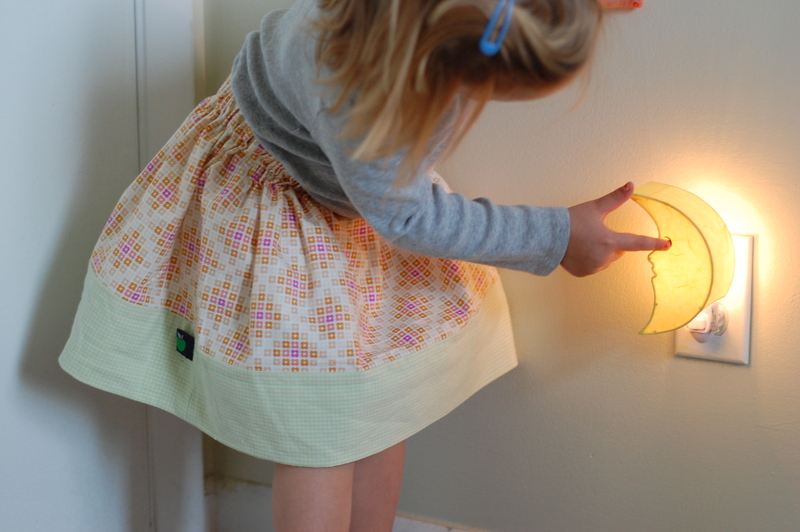 This is as easy as it gets… I have plans for a tutorial soon, for those who haven’t made skirts yet. But, I literally whipped this up during my kids’ nap yesterday- it is a great beginner project. I also made one for Ellery’s friend Marley… She is notorious for refusing to wear long pants. She sticks to dresses and cropped pants the dead of winter…. I hope ya like it, Mar! That is so cute! Photos are superb as well. I Love the skirt. Your pictures are wonderful as well. 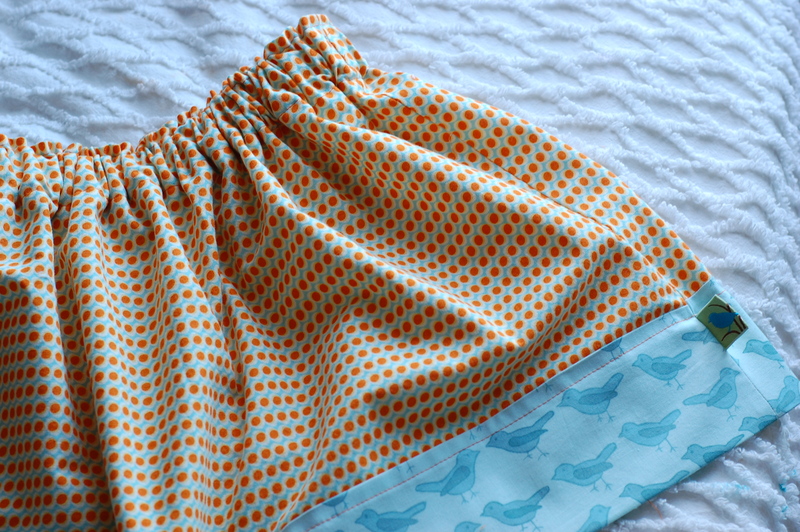 You are insipring me to keep on sewing and sewing and sewing……. !